William Morris had an intense interest in plants and everything in his design work was based on nature. His first design for embroidery was, in fact, just an absolutely simple and realistic sprig of daisies. These three designs by Beth Russell are adapted from Morris' originals. They all have a chart provided for initials to be stitched in the central area. 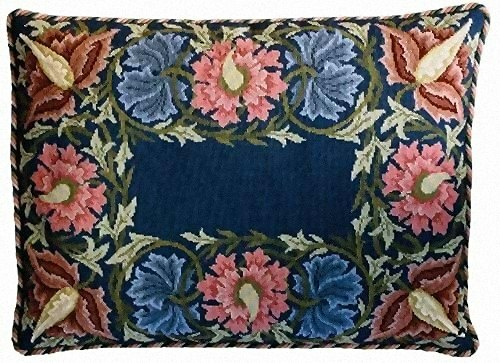 The Honeysuckle Border cushion is complemented by a bellpull using the same design. The kit uses Appletons tapestry wool on 14hpi canvas and measures 16" x 21" (41 x 53cm). A chart is provided for initials. Contents: Printed canvas, wool, needle, chart and full instructions. 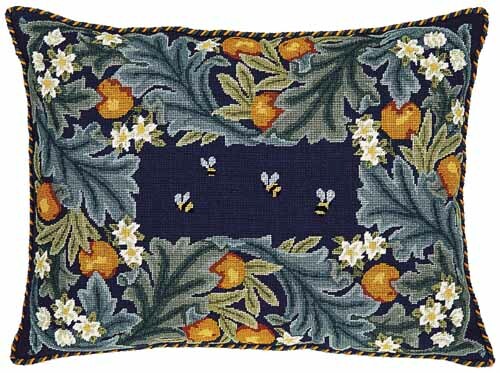 The kit uses Appletons tapestry wool on 14hpi canvas and measures 16" x 21" (41 x 53cm). A chart is provided for the bees or for initials. 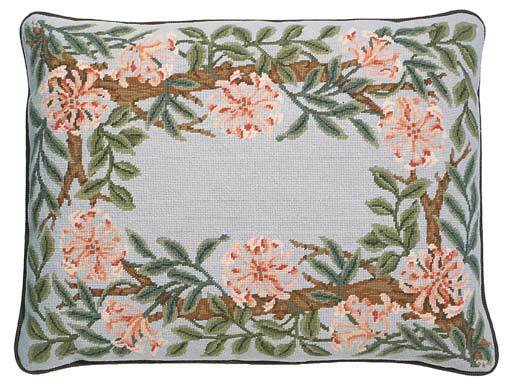 The kit uses Appletons tapestry wool on 14hpi canvas and measures 6" x 48" (15 x 122cm).